I love this Leaves of Whimsy sock pattern created by Rebecca Mercier and published as one of the many free sock knitting patterns on Ravelry. This is a lovely sock pattern but takes a bit of concentration. You also need to be extra careful at the end of each Row 1 where it ends with a yo as it’s easy for a large hole to form. I used size 2.5mm dpns with this yarn. It’s a very fine yarn. In hindsight I should probably have used 2.75mm dpns as the socks are quite snug. I am notorious for not knitting tension squares so it’s my own fault. Reduced the number of repeats for the leg from 5 to 4. Five would have been too long and not have gone up around my calf. The yarn I used is Ty-Dy Socks by Knit One Crochet Too. I love all the different greenish shades too. It’s very appropriately called ‘camouflage’. I purchased this yarn from one of my favourite Brisbane online yarn shops – Yay for Yarn. This is the first sock I’ve knitted where the leg pattern continues down the heel flap and I must say I rather like it. As you can tell from all my socks, I’m a bit partial to autumn colours as I find them so relaxing and easy to blend as there are so many autumn colours available. Hope you had a fantastic Christmas Day….no doubt you are now gearing up for New Year’s Eve! Well Christmas is ‘done and dusted’ for another year. I must say this Christmas Day was quite relaxing for me. I was up early (I can’t seem to alter my body clock after years and years of getting up early for work) and had the table set, food cut, sliced and diced and ready by 8.30am. Mum, Dad and my son Richard weren’t due until 11am. I had brought the presents downstairs on Christmas Eve and they were all ready for Richard. And yes, you can see a pack of toilet paper in the photo above. When your son lives away from home, he doesn’t knock back anything that will ultimately save him some money, so every Christmas I always provide him with presents ‘for the home’….toilet paper, disinfectant, washing up liquid, body wash, baked beans, etc. He also gets ‘real’ presents like clothing, work boots and other bits and pieces. Can you see those two plastic bags in the photo with the pictures of Father Christmas on them? Well they’re now at least 15 years old. I keep recycling them every year as I can’t bear to get rid of them as they remind me of Christmases when Richard was a little boy. I lit an apple and cinnamon fragranced candle that permeated the air with a real delicious Christmasy smell. Anyway, back to waiting for my family to arrive…..what’s a girl supposed to do while waiting for 2 1/2 hours…..start knitting another pair of socks of course! The weather was perfect for Christmas Day. We’d been experiencing some quite humid days in the lead up to Christmas Day but on the actual day the humidity dropped considerably and it was quite bearable. Another reason to start knitting while waiting for my family to arrive. I managed to finish the cuff of one sock. Did you notice the orange zip bag in the photo? It’s actually a $3 toiletries bag from Crazy Clarks. When I saw it I knew it would make a perfect little knitting caddy and it certainly does. It holds my pattern, notebook, pencil, skein of yarn, needles, tape measure, snips and darning needles. Great for slipping in my handbag and taking out with me if I know I’m going to have some spare time and can get a bit of knitting completed. Mum, Dad and Richard arrived on time at 11am so we opened our presents whilst drinking some bubbly (and Jim Beam and Coke for Richard) and then sat down for lunch. I must say cooking a big roast lunch has never been on my agenda. It’s just too much effort when most Christmas Days are much too hot. So I settled for a cold lunch. I must say the end result was lovely. Everyone’s plate was so colourful just like all the famous chefs talk about…..all the colours and textures. We had orange (prawns), yellow (mango, capsicum), green (lettuce, snow peas, avocado, olives, basil, grapes), white (chicken), pink (ham), red (capsicum, tomatoes), purple (cherries), followed by berry trifle which was a mixture of lots of colours. Typical, as soon as we started to sit down out came Richard’s mobile phone. Sometimes I think it’s surgically attached to him. What I couldn’t believe is when my Mum (who is 85) sat down she also had her mobile phone!! I had to reprimand them both! Well that was my Christmas Day. Once we’d finished lunch and dessert and had a few more sips of bubbly and nattered for a while Mum and Dad left for home and Richard left for a swim and get together at his mate’s place. I cleaned up, popped the dishes in the dishwasher, took my knitting out onto the front stoep and thoroughly enjoyed myself knitting, drinking tea and eating chocolates in the beautiful bay breeze that was blowing my yarn all around the place. Hope you had a wonderful Christmas Day too. Here’s another pic of Father Christmas knitting which I couldn’t resist. He doesn’t look too happy…..maybe he dropped a stitch! One of things I enjoy most about knitting socks (besides wearing them of course) is taking photos of the socks once they’re finished. Now, generally I use my own feet to model my socks however it is sometimes hard to take a photo from a distance unless you’re a bit of a contortionist and can stretch your arm away from your body as well as get your foot in the photo frame. So one day I searched eBay (you can buy anything on eBay!!) for a foot mannequin and voila!….this is what I found. Perfect for my needs and it comes with its own little stand. Luckily, this foot mannequin is roughly the same length as my foot but it is so much more slender and refined looking. A couple of different photos that I took of my foot mannequin….affectionately known as ‘my third foot’. As soon as I’ve finished a pair of socks, out comes the foot mannequin and on goes a sock. Out to the back courtyard I go and very carefully place the mannequin on the top of a pot of choc mint that sits on a table. The clothesline is above this table so luckily the top of the mannequin rests on one of the lines and I can take the photo without the mannequin toppling over. No doubt my neighbours think I’m a bit strange and probably think “Here comes Melanie again with her third foot ready for another photographic session”. These are some of the photos I’ve taken of my socks using the foot mannequin. Don’t they look effective? You can also get some great close up shots of the heel flaps. Plus you can also take great photos of the pattern details of your socks. See how the foot mannequin shows off the sock to its best advantage….lovely and slender….just like a model…..as opposed my fat foot on the right hand side. All in all a sound investment for an avid sock knitter. It’s easy to use, easy to store and makes every sock look like a million dollars! 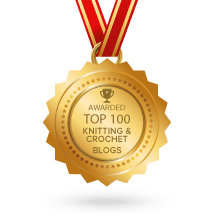 Talk soon and happy knitting…. These socks are very basic and are ideal to knit using a self patterning sock yarn. The pattern comes from the Yarn Harlot’s book “Knitting Rules” – Sock Recipe: A Good, Plain Sock by Stephanie Pearl-McPhee. As an aside, I have all her books…..if you’re into knitting and reading funny, witty stories about knitting and yarning, you’ll enjoy them too. I bought them from The Book Depository, one of my favourite online book stores. The sock yarn I used for these socks is one of my favourites….the very reasonably priced Moda Vera Noir sock yarn. This particular colourway is 09 Olive Mix. I love all the different colours and patterns. It’s always exciting knitting with this type of yarn as you never know what kind of patterning will emerge. Who’d have thought so many shades of blues, greens and reds would blend so well together. I made a couple of variations when knitting these socks….I used 5 dpns rather than 4 dpns and I also picked up 18 sts on either side of the heel flap. I knitted 32 rows in total for each heel flap. I also grafted 20 sts at the toe (10 sts on each needle) as my toes aren’t very pointy….rather they’re squarish so the 20 sts suits my foot more. That’s the wonderful thing about knitting so many pairs of socks….I now know enough to be able to vary and adapt patterns to suit what I like the best. I love the heel on this pattern. Another photo showing the heel detail. Although you need to purchase Stephanie’s book “Knitting Rules” to get this pattern, there are plenty of other easy free sock knitting patterns on Ravelry as well as the Free Knitting Pattern: Basic Socks pattern from the Lion Brand Yarn website….the pattern I used when I was first taught how to knit socks on 5 dpns. I hope you all have a wonderful weekend in the lead up to Christmas. And I hope you get lots of knitterly goodness from Father Christmas. Happy knitting, crocheting, crafting or whatever you enjoy doing most! Just had to share with you my two latest sock yarn purchases. I’ve been purchasing sock yarn from some fabulous online wool stores in Brisbane, namely Yay for Yarn and Yarn Glorious Yarn. Recently I received a $20 gift voucher from Yarn Glorious Yarn for Christmas as a thank you for visiting their online store and purchasing throughout the year. What a lovely gesture and makes me even more determined to support them. Sometimes it’s the small things a business can offer that can reap them huge rewards. Now, as posted previously, I have a spare room that is bulging at the seams with my wool stash but, what the heck, two more skeins of yarn won’t hurt, will they? I have a couple of sock patterns that I’m looking at using soon that feature a leaf design so I thought it appropriate to purchase a solid green colour. Hence this gorgeous Tili Tomas sock yarn called ‘Grass’. Isn’t it a lovely rich grass colour? My second purchase was another absolute favourite sock yarn, Schoppel-Wolle Crazy Zauberball in the beautiful colour called ‘Autumn Sun’. Isn’t it just divine? As with all my sock patterns I’ll be sourcing Ravelry for their free sock knitting patterns. Now I just need to find some time to knit those socks. Watch this space. Last year while I was searching for all types of knitted Christmas decorations patterns, I came across this lovely free pattern for knitted Christmas Lights while I was surfing the ‘net. Alas, it mentioned knitting with dpns which, at that stage, was beyond my comprehension. Fortunately, this year I have mastered knitting with five dpns after learning to knit socks in August so out came this pattern again. I was ready to tackle it. I searched the number of knitters who had knitted the pattern on Ravelry for any handy hints that I could utilise. There were 118 projects!!! Amazing! I found one hint that really helped and that was to use two dpns until I reached the 6 stitches and then divided them between the three dpns (2 stitches on each needle). This was so much easier than trying to start with one stitch on each needle. With the cast on tail I very carefully stitched close the small gap at the start. You’d never know the difference! This pattern is a fantastic stash buster. I used lots of different colours and also used my old acrylic yarn stash which is great for this type of project where you don’t need to use wool. Each light only took about 45 minutes or less to make and stuff with a polyster fibre stuffing material. It is quite a rhythmic process as it is so repetitive. The brighter the colours the more Christmasy the lights look. Once I had knitted all the Christmas lights I required I made an I-cord and attached them all to the cord. This pattern has a link to an excellent video if you’re a visual person. Bear in mind the I-cord will stretch considerably once you start attaching the lights so you probably won’t need to knit it as long as you think you should. All in all I am very happy with the result. They’re easy to make and add a real festive touch to your home. Don’t forget Ravelry has plenty of free Christmas decoration knitting patterns available on their website. Visit them today and you won’t be disappointed. I hope you enjoy making these adorable knitted Christmas lights ornaments.